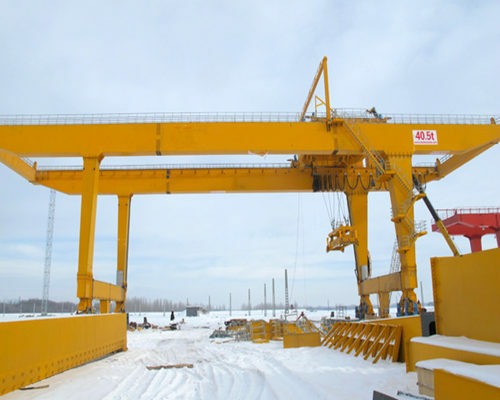 Do the best gantry crane, Ellsen is always on the way. 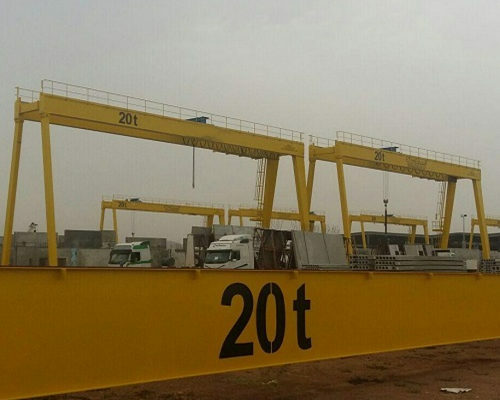 All our gantry cranes are a result of one century's hard working and innovation. Amazing design & Trusted guidance. Advanced technology & Fast delivery. High qulaity & Low price. There is alway a will for you. 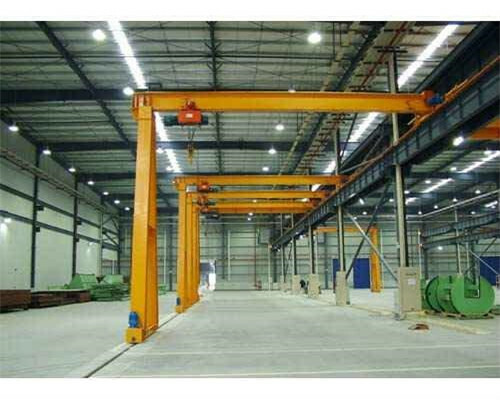 As a variant of overhead bridge crane, the gantry crane is also called portal crane or frame crane. 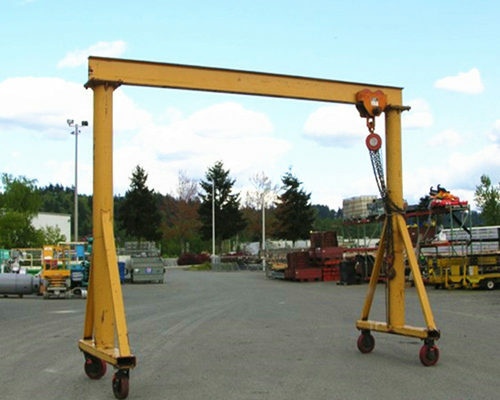 Neared to a metal structure looks like the door frames is two legs of the gantry crane to be used to support the whole equipment of a gantry crane. 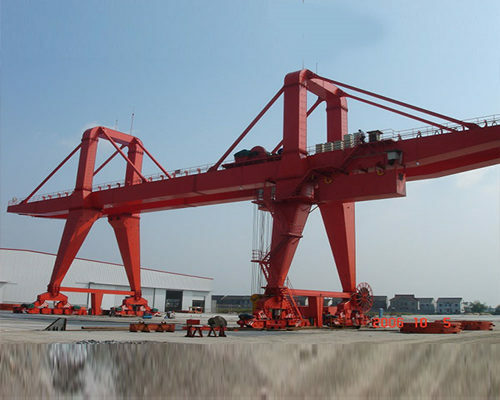 Due to the higher location factor, big walking range, wide working environment and strong universality, the gantry crane is widely used in the stockyard, warehouse, workshop, hydropower station, and shipyard to move, lift and transport materials. 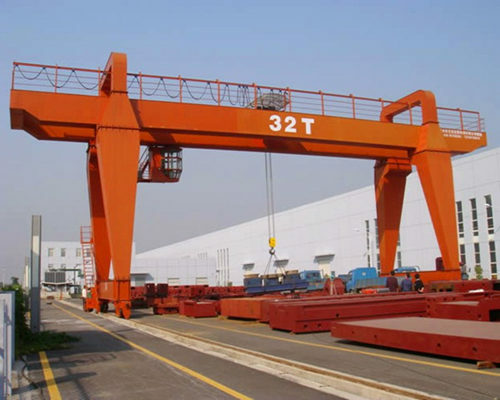 According to the different methods of classification, the gantry crane can be divided into so many types. 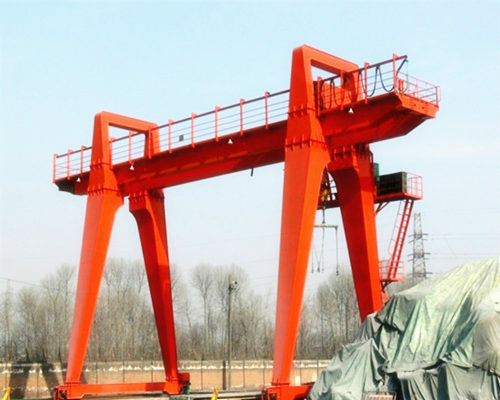 First, according to the various kinds of door frame structure, the gantry crane can be fallen into two kinds of portal crane and portal cantilever crane. 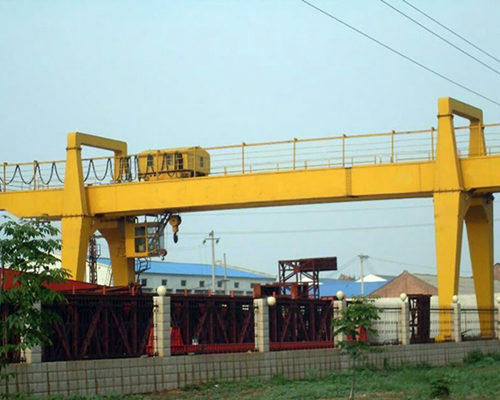 Being the most common cantilever gantry crane, the double cantilever gantry crane has reasonable loading structure and sufficient site area. 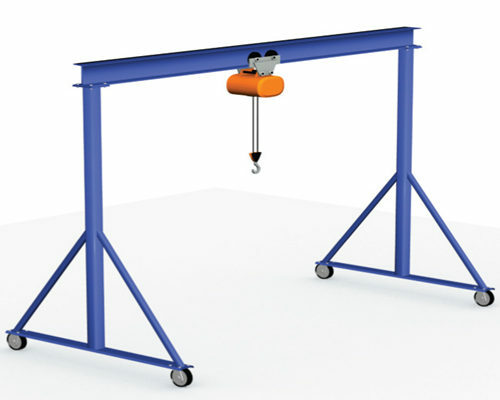 Compared with the double cantilever gantry crane, the single cantilever gantry crane is just used in the special or certain working environments. 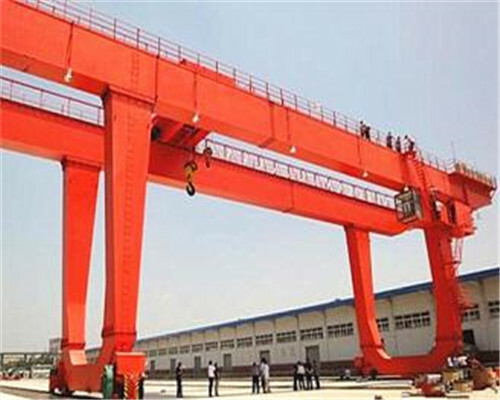 One of the portal cranes named the total gantry crane, whose main girder hasn’t overhang, and the small vehicle just walks in the main span. 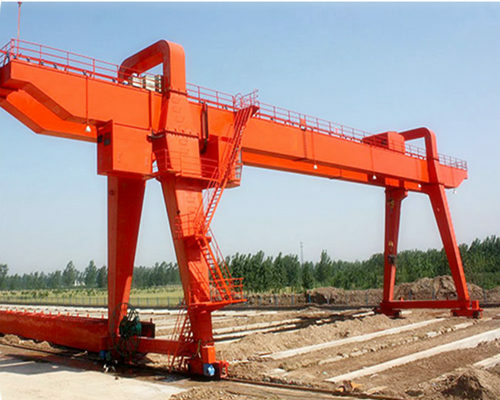 The other is the semi gantry crane, in order to adapt the different construction site requirements; the semi gantry crane enjoys different height legs. 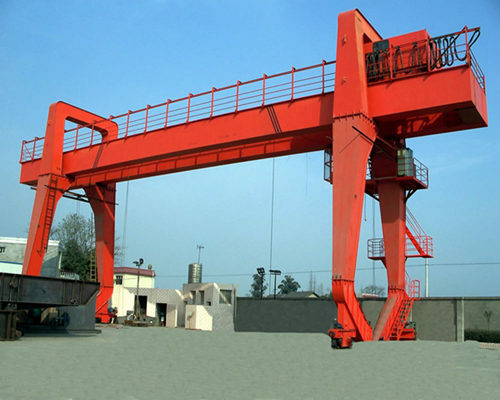 Based on the requirements of industry regulation of GB and T14406, a gantry crane can be group into the following accessories, which includes the column wheels, the buffer, the wire rope, lifting hook, cable room, reducer, the block brake, casting sheaves and drum, the motor and the electric control equipment. 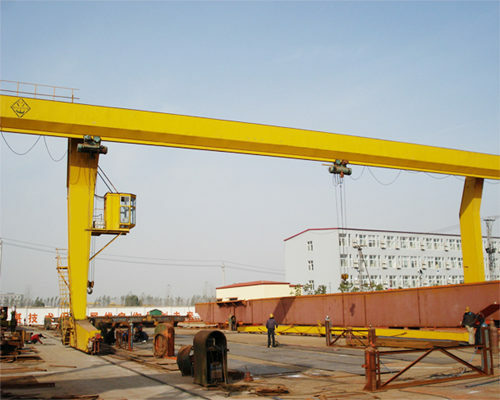 Zhengzhou Ellsen Machinery Equipment co.,Ltd is a qualified and modern private enterprise, which specializes in producing all kinds of crane equipments including the design and manufacture all in together. During more than one century’s hard working and continually innovate, the company has made a great breakthrough in its sales revenue with 20 times increased and can reach 350 million. 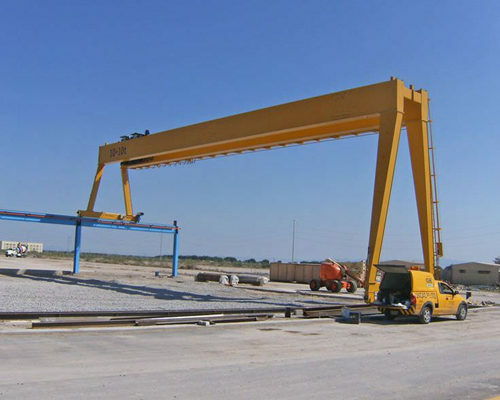 Every Ellsen’s gantry crane is manufactured on the basis of multi and strict international standards, just like the DIN, FEM, and ISO. 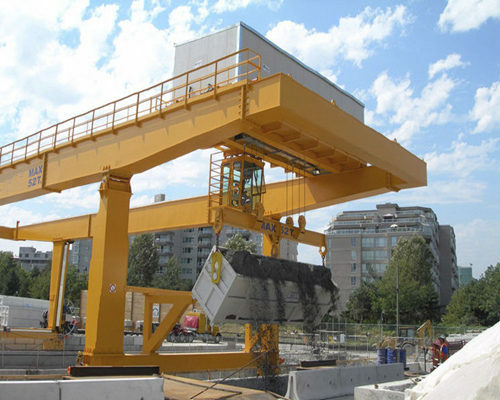 During the growing of more than one century, we innovate and create various advanced crane manufacturing process, as well as passed a series of certifications. Besides, all-around test service can be provided before purchase. 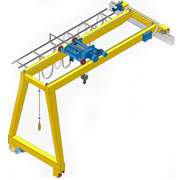 We use plenty of lightweight designs to manufacture the lighter gantry crane. 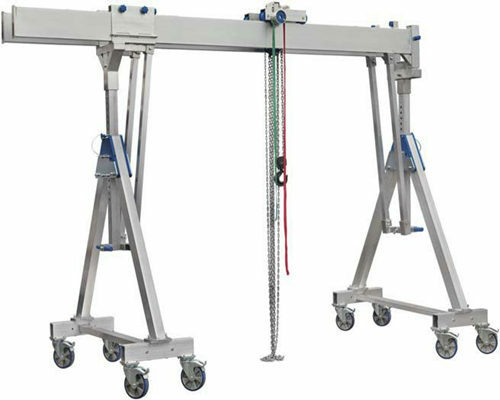 Compared with the gantry crane with traditional technology, this new gantry crane is lower and lighter, which owns smaller wheel pressure and limit size. 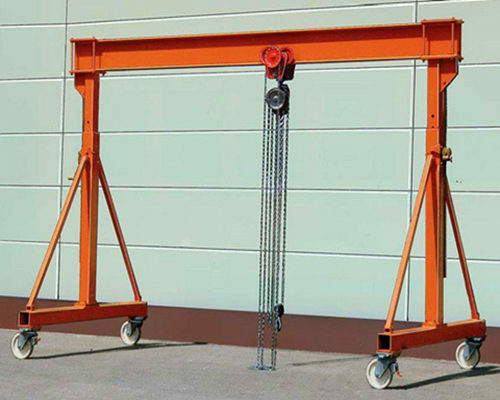 To be specific, the advanced gantry crane not only decreases around 25% and 30% in height and dead weight respectively, but also enjoys the smallest wheel pressure and limited size, these excellent merits lead to the bigger operation area and wide working range. 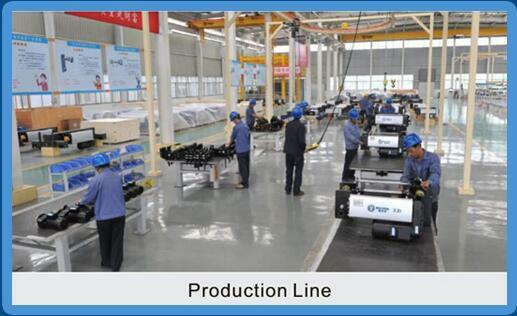 Our customers will obtain the rich production assortments and short delivery period through the modular design. 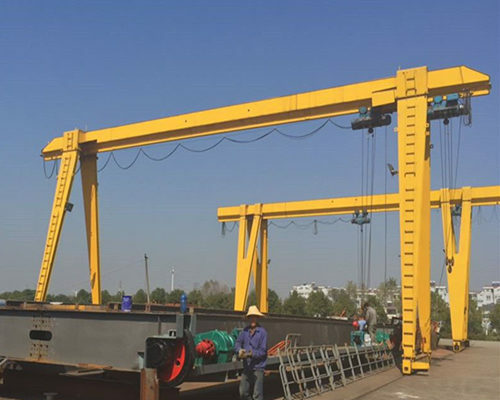 At the same time, the using of demountable connection ways offer numerous convenient for our customer in installation and transportation. 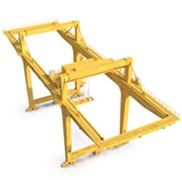 All the parts of a gantry crane are produced to accordance with customer demands. Just like the pre-treat of steel plate makes the surface quality of a plate reach into Sa2.5 level, the sternum cut by numerically control is more smooth and accurate. As well as the zero-damaged weld in the way of ultrasonic wave and X-ray. 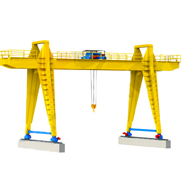 Equipped with various protection devices, the gantry cranes of Ellsen have the highest safety. One of these protection devices is the monitor system on the overload limiter, which warn operator the overload situation by a display screen timely. 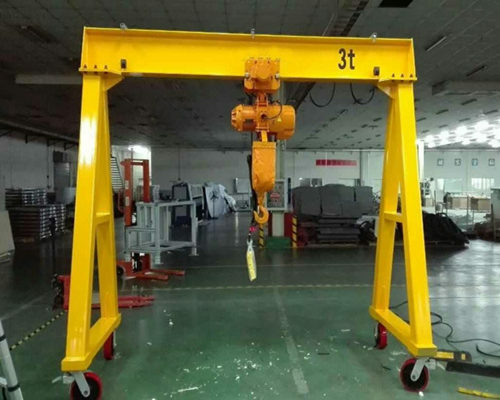 Next is the self-examination, all the directors can test themselves in a gantry crane through this system, mainly includes the working condition of voltage and button. 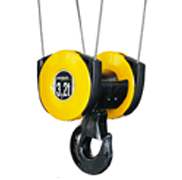 Finally is the upper and lower limit switches, when the hook approach to the limit height of a gantry crane, these switches will cut the electric automatically, leaving the motor don’t work or move to the opposite direction. Several code components likes wire rope, motor and reducer are exported from German, guiding high insulation and protection grade. The wheel forged by 65Mn alloy steel enjoys strong abrasive resistance and long service life. In the development of more than one century, Ellsen always insist on the principles of “quality first, customer ahead” to offer profound service for our customers. The excellent enterprise spirit of free maintenance helps customer save a huge sum of money.